The 17th Annual Silent Auction and exhibition opens on Friday, October 2nd and will be on display at Vermont Center for Photography for the month of October, 12-5pm every day. 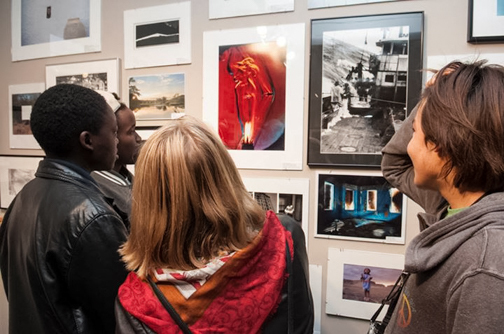 Proceeds from their auction go directly to the scholarship fund, allowing In-Sight Photography Project to continue to offer cross-cultural and photography programs to youth, regardless of ability to pay. 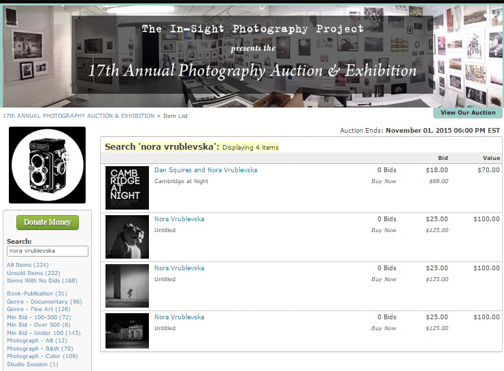 I am participating with three prints and book Cambridge at Night, co-authored by Dan Squires. Please consider bidding and supporting this great cause!